– In the Philippines, voters line up for hours and lose a day of work to register! – Campaign period in Korea is for two weeks before elections. – Campaign period in the Philippines “unofficially” starts after an election, e.g. the campaign for the presidential election in 2016 began after the senatorial elections last May. – In Korea, posters are not pasted on walls. They are placed together in public spaces. Campaign paraphernalia are sent to households. – In the Philippines, posters are everywhere and everything (including noodles) becomes a campaign material. Bribes like money and groceries are sent to voters. – In Korea, the candidates talk about their platform and don’t sing and dance. – In the Philippines, the candidates sing or dance to entertain the “audience”. More on Korean elections here. – In Korea, profile of candidates are posted online. The list includes their wealth and income. – In the Philippines, profile of candidates are posted online. The list does not include their wealth nor their income. – In Korea, the president donates his wealth to charity while in office. – In the Philippines, the president buys a Porsche a few months after he’s elected. – In Korea, the First Lady receives criticisms for allegedly having a luxury watch. – In the Philippines, the presidents’ sister flaunts her designer clothes on national TV. – In the Philippines, it would be a miracle to see a “congressman” to even step on the ground (unless it’s campaign period) and of course, I’m exaggerating. – In Korea, congressmen are suspect if they ever purchase real property while in office. – In the Philippines, congressmen build 50-million peso mansions while still in office despite a 25,000 peso monthly salary. – In Korea, congressmen eat what the average citizen eats and pay for their meals. – In the Philippines, congressmen spent 45 million pesos for “turon” or banana fritters or 43,000 pesos per person for a lunch of soup and fish ~~ all paid by the citizens! – In the Philippines, congressmen parade with their designer clothes, especially during the SONA. – In Korea, an ex-President kills himself by jumping off a cliff while being investigated for corruption. – In the Philippines, an ex-General kills himself with a gun while being investigated with plunder. – In Korea, ex-presidents go to jail for corruption and then pardoned after a few years. – In the Philippines, an ex-president went on a house arrest at his rest house for plunder and then pardoned after a few years. – In Korea, the First Lady’s brother is investigated on alleged anomaly. – In the Philippines, the President shrugs off accusations against his sister for suspected extortion. – In Korea, the President is impeached for endorsing his own party in the elections. – In the Philippines, the President thinks his main job is to campaign for his party’s candidates. – In Korea, congressmen act like gangsters to fight for the bills they believe in. – In the Philippines, the Congress is the biggest criminal syndicate! – In Korea, the president cried that his citizens had to work in another country. – In the Philippines, the president barely supports its people working in another country who keep the economy afloat. So what’s my point? The Philippines has been lagging behind its neighbors in almost every aspect. South Korea had nothing after the war, but it didn’t stop the country and its people to unite and work hard for the betterment of the country. The Filipinos deserve more than its abusive government, but it’s only possible if the people elect real leaders and not a Nancy Binay over a Gordon, Hagedorn or Magsaysay. That is just sad… so open your eyes people. It’s time to stop the abuse! Very well said Ms. Betchay!! Still not losing hope that we will be able to have a government truthfully working for its people. Very well said ate betchay!^^ I totally agree with you! Galing, Betch! I feel you! I really agree Miss Betchay! .by the the cross flag pin you posted .I actually print it out because I too really love South Korea. Since I don’t know much about politics, this was really interesting to read. I only read about foreigners complaining about the noise the election campaigns in Korea produce, but it’s good to know there’s also positive things. Uhmm…what about the Korean ex-president that hat put away huge slush funds during his term in office and stated he had only 290000 won available to him now (CDH)? What about the fact that about every Korean president who was elected democratically was charged for corruption basically as soon as they left office? What about the MP who said the subway ticket was 80 won? And what about the fact that the crying president (PCH) used the money that the miners and nurses send for his own devices? Sorry, but Korean politics is a dirty enough place as well! Yes. I think I mentioned about the presidents who had gone to jail for corruption. Korean politicians are also corrupt, but my point is the people themselves don’t tolerate it as much as we do. When the members of Congress and their spouses paraded in expensive designer clothing during the last SONA, people were excited to see the clothes and it got more coverage than the speech of the president! That’s why I mentioned about politicians here get criticized simply for wearing an expensive watch. Isn’t it a good thing that “every Korean president who was elected democratically was charged for corruption basically as soon as they left office”? For me, that’s good news. when PCH died w gunshot 1979 he was brought to d hospital covering his face with towel. doctor never noticed if he is president coz his inner clothë‚œë‹êµ¬was damaged with so many holes and velt metal was discolored like dalmasian… there were no evidence of corrupt of pres PCH. it was only rumor of corrupt spread by north korean spy. you should know about 100000 NK spies lived in south korea with reguar job. Wow! I used to live near Clark Air Base and life when the Americans were still there was prosperous. I think Angeles City is still doing okay, but I prefer the “then” than the “now”. Sentimental much? Oh well, our business (as well as others) was affected with the pull-out of the bases. Life was really good before Pinatubo erupted and there was hope until the Americans left. So yeah, I hope the Americans will never leave Korea. And I know that many Koreans feel the same way, even when there was the anti-American sentiment 11 years ago. I would agree that the US contributed to South Korea’s progress as they had to show the North Koreans that democracy works. After World War II, it seems that the US abandoned their allies and helped Germany & Japan more. Then the Korean War followed almost just after. So the Philippines had to fend for itself. Aside from this, the protectionist policies that the Philippine gov’t chose to follow did not do it good as it allowed local companies to just go as they were used to, did not challenge them to compete and produce high quality goods. For example, we still have the jeepneys and not go on to higher value vehicles. Also, we did not try to build a strong middle class with good education and investment policies, so the disparity in income has been getting worse through the years. And a big overhaul of the government should be done. 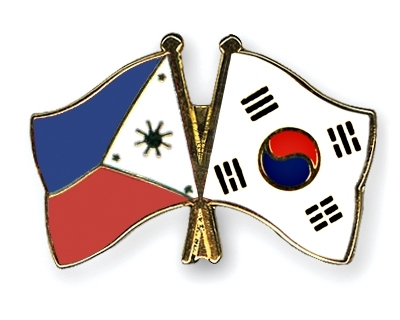 The Philippines should have a Park Chung Hee. And the Koreans have also worked hard, are disciplined and love their country. We can learn from them. We can achieve the same if Filipinos will have more concern for others and their country (rather than themselves and for their family), and will work diligently and honestly.